This easy to apply velcro compression wrap will change the way you wear compression. 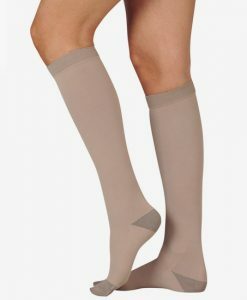 Designed for customers who suffer from mild to moderate venous insufficiency, this wrap can replace short stretch bandaging as well as traditional compression socks. 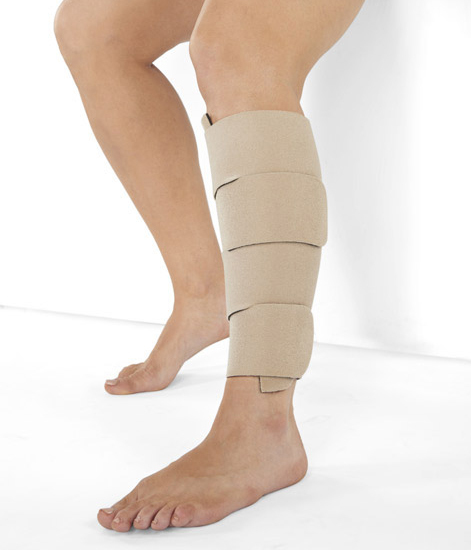 Unlike other compression wraps, the Juzo calf wrap is reversible, so you can wear it as a beige wrap OR a black wrap, depending on your style preference.